Got your tickets booked and paid for and your suitcase packed and ready to go? Read on for a few basic Lewiston tips before you go. Lewiston is 130 miles (209 kilometers) to the north of Boston, a well-known city. Enjoy meeting the locals while you're on vacation? This corner of Western Mountains has a population of around 37,000 people. With Travelocity, it's never been more simple to plan a vacation to Lewiston and save money. All you have to do is book an accommodation and airfare package. And best of all, with no less than 400 airline partners and 665,000 places to stay, it'll be a total breeze to find what you're looking for. From accommodations and flights to activities and car rentals, we can provide 24/7 personal assistance with our Customer 1st Guarantee. If you somehow come across a lower price on another site, we will reimburse the difference^. Adjustments to reservations will not incur extra charges from us. And as long as you get in fast, many accommodations won't charge you either^. When should you sort out someplace to stay in Lewiston? As soon as you can! Get in quick in order to nab the best of the 8 lodgings available through Travelocity. 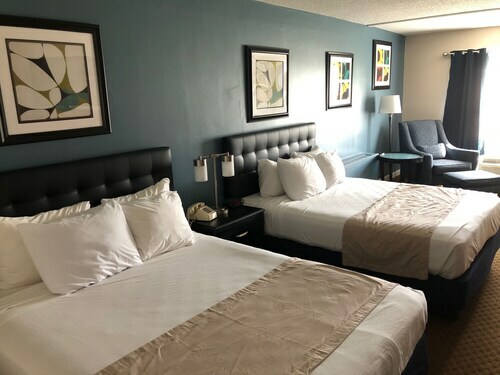 If you're looking for quality accommodations in Lewiston, we recommend The Munroe Inn and Residence Inn by Marriott Auburn. Choose a room and then start booking all those thrilling getaway activities. Where do you fly into for Lewiston? Seats in the upright position, stow your tray tables and prepare to explore Lewiston! Once you arrive at Portland International Jetport Airport (PWM), the happening main streets will be only 30 miles (48 kilometers) north of here. Can I rent a car in Lewiston? Planning to explore the surrounding regions of Lewiston? A rental car will no doubt be useful here. Peruse your options on Travelocity, make a selection and hit the road! History has many lessons to teach us. Drink in the knowledge and better acquaint yourself with times past at Androscoggin Historical Society. Seeking some more options? Bonney Park is a welcoming place to hang out in if you're exhausted from trudging around town. Find a bench, sit yourself down and rest your weary legs. But there's more. The intimacy and artistry of live theater is hard to deny. Secure tickets to a production at The Public Theater and experience its magic and charm for yourself! Portland is only 30 miles (48 kilometers) away from Lewiston. Visit this place for convenient access to some top attractions like the University of Southern Maine and the Portland Museum of Art. Just 55 miles (89 kilometers) away you'll find Green's Grant, another nearby area worth visiting. It's a handy place to access unmissable attractions like Wildcat Mountain Ski Area and Mount Washington State Park. 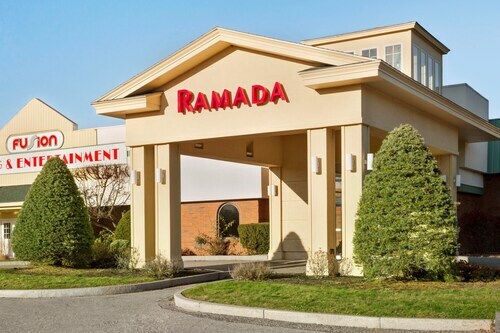 Situated in Lewiston, this hotel is 2 mi (3.2 km) from Androscoggin Bank Colisee and 2.8 mi (4.4 km) from Bates College. Central Maine Community College and Range Ponds State park are also within 12 mi (20 km). 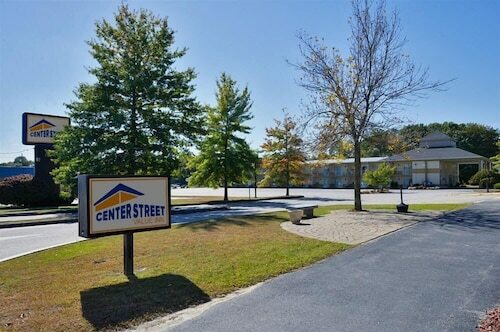 Situated in Auburn, this hotel is within 1 mi (2 km) of Auburn Mall and Central Maine Community College. Androscoggin Historical Society and Festival Plaza are also within 2 mi (3 km). Located in the heart of Lewiston, this hotel is within a 10-minute walk of Festival Plaza and Androscoggin Historical Society. Bonney Park and Community Little Theatre are also within 15 minutes. Located in the heart of Auburn, this hotel is within a 5-minute walk of Androscoggin Historical Society and Festival Plaza. Bonney Park and Community Little Theatre are also within 15 minutes. 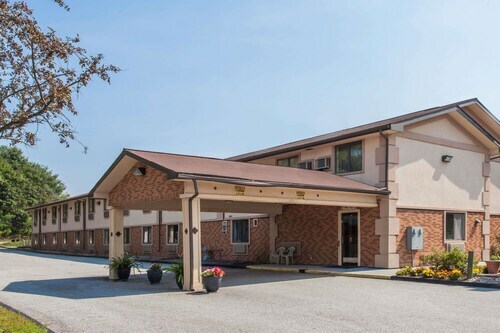 Situated in Auburn, this hotel is within 6 mi (10 km) of Fox Ridge Golf Club, Prospect Hill Golf Course, and Mount Apatite Park. Range Ponds State park and Androscoggin Historical Society are also within 9 mi (15 km). Situated in Lewiston, this motel is within 3 mi (5 km) of Androscoggin Bank Colisee, The Public Theater, and Bates College. Festival Plaza and Androscoggin Historical Society are also within 3 mi (5 km). Situated in Lewiston, this motel is within 6 mi (10 km) of The Public Theater, Androscoggin Bank Colisee, and Bonney Park. Androscoggin Historical Society and Community Little Theatre are also within 6 mi (10 km). Situated in Auburn, this motel is within 1 mi (2 km) of Androscoggin Historical Society and Festival Plaza. Bonney Park and Community Little Theatre are also within 2 mi (3 km).